Notched from a glorious stretch of oceanfront land and maritime forest, The Sea Pines Resort abounds with environmental wonders. Our pristine 605-acre forest preserve, tranquil lagoons, miles of unspoiled beach, winding tidal creeks, and salt marshes offer a remarkable open-air classroom and award-winning Eco-Adventures. Are you interested in Archaeological adventures explore Sea Pines Resort’s Shell Ring? The 4,000-year-old Native American site offers information about the ancient history of Hilton Head Island. Explore the Forest Preserve by wagon. The resort offers wagon tours where visitors can sit back and relax while learning about the plant life and animals of the Forest Preserve. This tour provides encounters with turtles, birds, alligators, and other forest wildlife as visitors ride past the Heritage Farm, Fish Island, Lake Joe, and more. Are sea bound adventures are more to your liking? Local Dolphin tours offer exploration of the Calibogue Sound and local waterways. Up close encounters with Atlantic bottlenose dolphins, shore birds and marine wildlife abound. 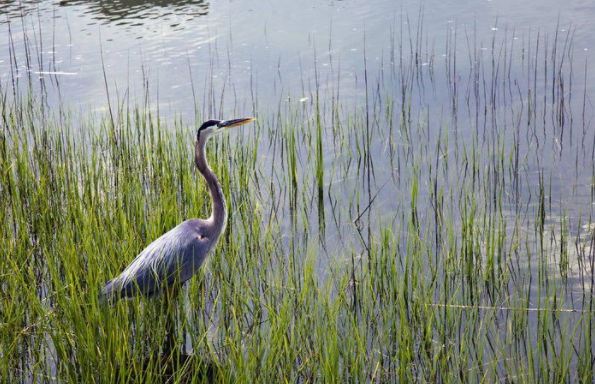 Touring the salt marshes and tidal creeks offer a unique opportunity to view the local wildlife in their natural environment. Hilton Head Island offers residents and visitors a unique opportunity to enjoy a family beach atmosphere without the influx of commercialism that, so many beach towns have experienced during their growth in popularity. Hilton Head Island offers numerous luxury gated communities. Many favor Hilton Head Plantation for its breathtaking natural beauty surrounded by the Port Royal Sound and the Intracoastal Waterway. This picturesque community is encompassing 4,000 acres and only minutes away from the island white beaches and abundant cultural sites. In addition to being minutes from Hilton Head's gorgeous beaches and rich cultural sites, historic Beaufort and Charleston, SC and Savannah, GA are a short car ride away. Proximity to culture and beauty abounds for those who choose to live in Hilton Head Plantation making it a perfect residential community for those that call this gated community home. This community has over 4,000 homes and nearly 500 condo/villas. Amenities include a semi-private 18-hole golf course designed by Rees Jones. Jones also designed two additional courses; the award-winning Oyster Reef and Bear Creek Golf Courses. This plantation has a forth private Dolphin Head Course created by Ron Kirby and Gary Player. This community offers two miles of sound access beach, a community recreation center, a community garden area, several swimming pools, tennis courts, Skull Creek Marina, spectacular restaurants, two nature conservancies, and leisure trails which wind through this beautiful community.